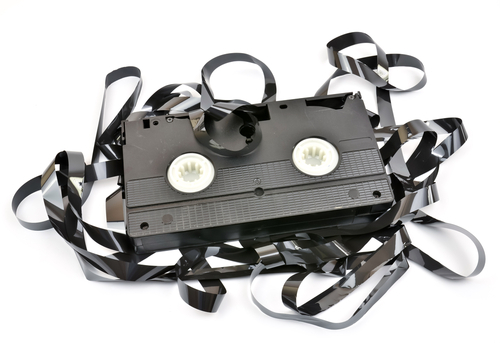 Video tapes can be both amazingly robust and surprisingly fragile The same format of tape that can be salvaged after a flood or fire can be easily broken by a two-year old, malfunctioning equipment or a drop to the floor, making it impossible to view your footage. Whatever the cause, your broken video cassette can be saved - you've found the best way to fix it. We care about your footage. If your tape is important enough to you to have it professionally repaired you can be confident that when you send it to us it will be treated with care and respect, just as if contains our own priceless footage. Our services are second to none in Oxfordshire and we are highly recommended as the no.1 place to go for all digital transfers. We have served thousands of satisfied customers from all over the world since 2007 and will apply our experience and expertise to the repair, recovery and restoration of your footage. To the best of our knowledge we are the only firm that focuses on video tape repairs while other companies primarily offer DVD transfers and might do an occasional repair job. Our specialty is repairing broken video tapes and we do it all day, every day. We work with VHS, 8mm, Hi8, VHS-C, Digital8, miniDV and miniDV HDV tapes. There are no hidden charges; our flat fee fixes anything and everything that is wrong with your tape with free return shipping and a lifetime guarantee. Completed orders will be shipped within two business weeks of receiving the tape.